What separates Heaven and Hell? Is it the goodness that lies in the deepest parts of humanity, some mystic gatekeeper ... or simply the power of an Almighty God, which many don't believe in? Once a child of light, Tyler is seduced into a world of evil and dark figures as the beauty of one girl blinds and dulls his Godly intuition. Unleashed from the loud cracklings of Hell, Legion, an elite dark angel, ascends to the earth. 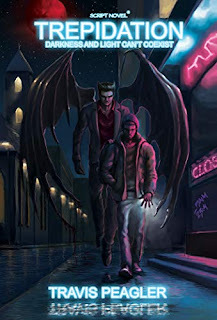 Commissioned by his Dark Lord Lucifer to claim the souls of infidels, Legion finds it tempting to claim the soul of Tyler; a one-time young Christian prodigy who's now fallen by the wayside.